Should A VBAC Labor Be Induced? 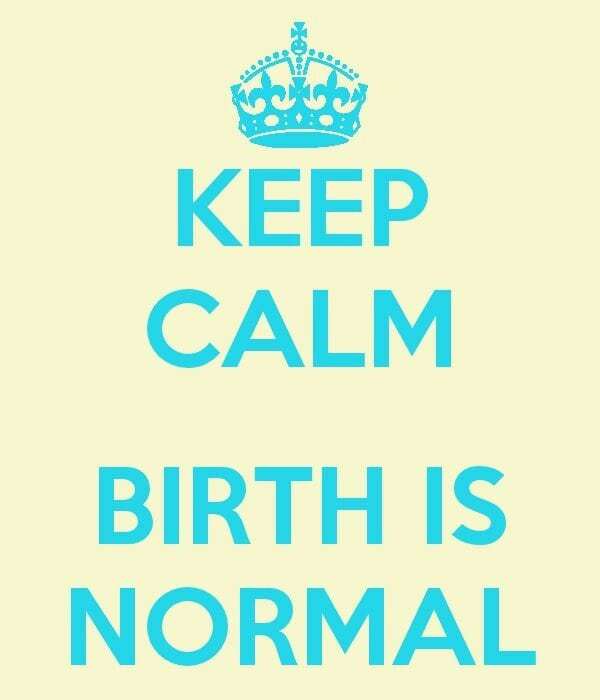 I recently attended an HBAC (homebirth after caesarean) with my midwife preceptor. This was the first VBAC (vaginal birth after caesarean) I had ever seen in the home setting, and I was so excited to be a part of it! I learned a lot during this birth about the physical and emotional hoops a VBAC mama is experiencing. I also witnessed the big stalls that often occur in VBAC labors. It is important to know the risks associated with inducing a VBAC, augmenting labor, and knowing when it is safe or right to do so. It is a myth that VBACS should never be induced. Spontaneous labor is always preferable to induced or augmented labor but there are medical conditions that can necessitate the immediate birth of a baby. Induction of labor for maternal or fetal indications remains an option in women undergoing TOLAC [trial of labor after cesarean]… However, the potential increased risk of uterine rupture associated with any induction, and the potential decreased possibility of achieving VBAC, should be discussed… Misoprostol [Cytotec] should not be used for third trimester cervical ripening or labor induction in patients who have had a cesarean delivery or major uterine surgery. An induction of labor is a complex and painful process that often requires additional medical interventions to keep the mother and baby safe from subsequent potential complications. Confining the laboring mother to bed, the use of continuous fetal monitoring, an epidural for pain, and the use of an IV, are standard with an induction. Induction of labor is a risk factor for several complications for both mother and baby including a higher risk for a cesarean section. Elective induction also impacts newborns. All induction agents increase the risk for stronger than normal contractions (uterine hyper-stimulation), affect the baby’s oxygen supply and consequently its heart rate (fetal distress). Newborns are more likely to experience shoulder dystocia (a life-threatening complication of second stage) with labor is induced. At birth they are more likely to need neonatal phototherapy to treat jaundice, to need resuscitation, and to need treatment in an intensive care unit.Elective inductions are also a risk factor for preterm birth. An induction has only one advantage. When given for true medical reasons, it may potentially save the life of a mother and/or her baby. Of course, if it leads to saving a life, we are all going to choose to induce – there is no argument that an induction would then be the best choice. Just like a Caesarean, it has a place in life-threatening situations – and for that we are more than grateful. The way a labor progresses is the same for a VBAC as for any other woman’s labor. Your body’s ability to perform the natural function of childbirth will not be directly affected by the previous caesarean. In fact, often times VBAC labors progress more quickly than a previous labor. However, a “stall” can occur – sometimes during the exact stage the where the decision to perform a caesarean was decided for the previous labor. 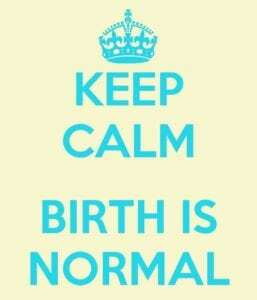 Remember, hospital births and home births respond very differently to stalls. In the hospital, you might be pressured to receive drugs to speed up/augment your labor or have a cesarean section. You are “on the clock” especially if your water has already broken. However in the home, your baby will be born when they are ready. There are a few things to consider in terms of VBAC – type of scar, labor induction (drug type and dosage), and uterine rupture vs. dehiscence. 40% of American births are induced or have their labor augmented through the use of drugs to stimulate contractions and ripen the cervix. These women are at an increased risk of rupture including women who have unscarred uteri. For a woman who has a caesarean scar on her uterus, there is a chance the scar can break open during labour. This is called uterine rupture. Medicines used to induce labor may increase the risk of uterine rupture. About 14 out of 1,000 women who were induced with misoprostol. About 11 out of 1,000 women who were induced with oxytocin. About 4 out of 1,000 women who had a spontaneous labour. Inducing labor in a woman trying a VBAC may also increase the chance of needing a C-section. Women who try to have a VBAC may be more likely to have a successful vaginal birth if labour is allowed to start on its own (spontaneous labor). Can we have some privacy to make a DECISION? It is common for labors to be augmented (typically this is done by giving you Pitocin) if it is not progressing “fast enough” as defined by your L&D nurse and/or your OB. Just remember that you are able to labor as long as you and the baby are healthy. You are involved in the decision making process and your decision needs to be respected. Induction from these drugs can make labor abnormal with violent contractions which can further damage the pelvic floor and the uterus. Pitocin doubles the chance for woman to have urinary incontinence in the future. Pitocin can also cause overstimulation (hyperstimulation) which deprives the baby from the necessary supplies of oxygen and blood. This, in turn, produces abnormal fetal heart rate patterns and fetal distress, which all lead to a cesarean section and even uterine rupture. Inducing labor with pitocin when the cervix is unripe (long and closed) sometimes causes the mother to labor for long hours with little progress. Cesarean section after a failed induction with pitocin is not uncommon. Induction has physiological effects on you and your baby as well. It can interfere with endorphin production (hormone of transcendence and pleasure). Oxytocin, synthetic or not, cannot cross from the body to the brain through the blood-brain barrier. This means that Pitocin (whether introduced into the body via injection or drip) does not act as the hormone of love. However, it can interfere with oxytocin’s natural effects. For example: women with synthetic oxytocin infusions are at higher risk of significant bleeding after the birth. The numbers of oxytocin receptors in the laboring woman’s uterus decreases, so her uterus becomes unresponsive to the post-partum oxytocin peak that prevents bleeding. Work through the memories of your past caesarean all throughout your pregnancy. Have the right support with you at your birth who can remind you and inform you of your body’s ability to birth naturally. There are a lot of emotions that surround the memories of the previous experience and fear is a powerful emotion you do not want present at your birth. 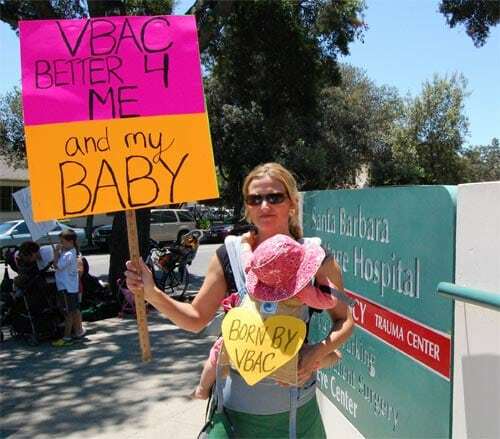 Assure yourself during your pregnancy of the safe choice you are making by choosing a VBAC – do your research. Finally, don’t allow any “stalls” to deter you – once you work past that point, you will have a wonderfully empowering birth experience! 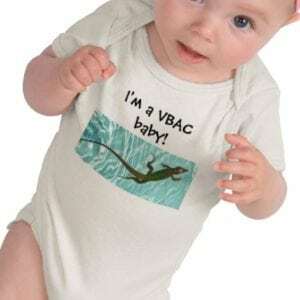 Were you pressured to induce for your VBAC? What was your VBAC experience like? I was augmented for my first VBAC (thankfully turned out fine but I wish I had realized I could have refused the augmentation). I was induced for my second VBAC (baby didn’t look too great on the NST…although I still wonder if it was necessary). Both babies however were born at 42 weeks (or 41 weeks…depending on who’s due date you go by) so I was pushing it as it was. I am all for a Pitocin free VBAC and I’m hoping to get one this time around (due in just a few days!) but when given the choice between an induced VBAC or a repeat c-section, I’ll choose the induced VBAC any day!